Home/Wacky lawsuits/This Week’s Wacky Wednesday: Law Suit For Using Picture! Who is taking your photo? Here is a strange and interesting lawsuit that might have some merit, although there could be an issue with the statute of limitations. So, what happened in this case? It’s all about Chipotle and a photo, and the start of the case goes all the way back to 2006. First, we need to go back in time a few years. A woman named Leah Caldwell was eating alone in a Chipotle restaurant in 2006, and she was photographed by Steve Adams. She says that at the time, the restaurant was practically empty. Later – in fact, eight years later – she found that her picture was in a Chipotle and her image was being used without her permission. After discovering the photo, it took her another two years before she filed her case. She claims that eating alone in Chipotle was a private activity, and when the photographer approached her – after taking the photo – they requested that she sign a photo release. She says that she did not sign the release, and she was upset that her photo was taken in the first place without her permission. Now, in her lawsuit, she is seeking $2.2 billion for the use of the photograph without her permission. This is a massive number, and naturally, it is quite unlikely that she is going to be awarded that amount. However, even though the amount is ridiculous, she could still have some merit to her case, as long as she’s not beyond the statute of limitations for this type of lawsuit. The lawsuit says that Chipotle bought the photo from the photographer without bothering to check and see if the rights were obtained. It also says that there was digital editing done to the photos, which added alcoholic beverages to her table near her food. Why is she suing for such a high amount? The suit says that the money is what Chipotle has made from the time they started using the photo until 2015. She also wants to add the profits from 2016 when they were made public. Why Could She Have a Case? 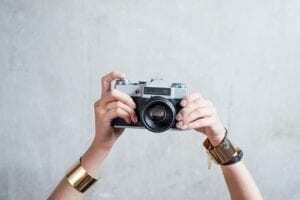 When a photographer takes a photo, they own the copyright to the image, so you might be wondering how she could have a case. Even though they own the image, they still need to get permission from individuals before they publish and use the image. In most cases, you will find that a person will have the right to control how their image and likeness is being used. However, likeness rights can become confusing rather quickly. For example, someone who is typically in the public eye, such as a politician or a celebrity, may find that their likeness rights are not always applicable. Photographers should always make sure that they get permission from the people they photograph if they are going to use the photos in their projects. It is always best to be respectful of people and their wishes involving their images.